Cruz Reynoso: Age 80 And Still Fighting For Justice The award-winning documentary, Cruz Reynoso: Sowing the Seeds of Justice, is airing on public TV throughout Hispanic Heritage Month. It chronicles the life of Cruz Reynoso, a champion of the rural poor who became the first Latino justice on the California Supreme Court. He was also one of America's first Latino law professors. Reynoso and filmmaker Abby Ginzberg speak with guest host Jacki Lyden. 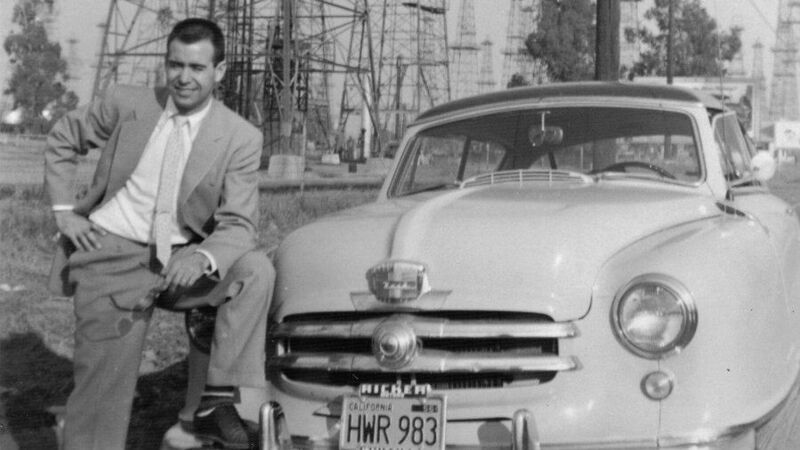 Cruz Reynoso was the first Latino justice on the California Supreme Court. The award-winning documentary Cruz Reynoso: Sowing the Seeds of Justice is airing on public television until October 15th in honor of Hispanic Heritage Month. Director Abby Ginzberg chronicles the remarkable life of Cruz Reynoso, a trailblazer in the legal system and a champion of agricultural workers. He was California's first Latino Supreme Court justice and one of America's first Latino law professors. President Bill Clinton appointed him as Vice Chair on the U.S. Commission on Civil Rights in 1994 and awarded him the Presidential Medal of Freedom in 2000. Reynoso's career also included controversial relationships and encounters with labor activist Cesar Chavez and then-California Governor Ronald Reagan. Cruz Reynoso was born to a family of migrant farm workers in Brea, California. He had 10 siblings. His family often traveled north to pick crops, to make ends meet. At the time, many boys in migrant farm families quit school at age 16 to work in the fields, and Reynoso's mother expected the same for her children. But Reynoso pursued a different path: education. He won a scholarship to Pomona College and earned a law degree in 1958 from the University of California, Berkeley, where he was the only Latino to graduate in his class. Around that time, Senator Robert Kennedy brought national attention to the issues of farm workers by holding Senate subcommittee hearings about labor abuses in California's Central Valley. Cruz Reynoso in El Centro as young lawyer. Young lawyers who were inspired by Kennedy's call to lift poor agricultural workers from poverty formed the California Rural Legal Association (CRLA). But all the original members were white, something that CRLA leaders saw as a barrier to the organization's effectiveness. The group felt it needed more Spanish-speaking lawyers who could directly communicate with farm workers. They also needed a leader who could connect with both those workers and government officials. That leader was Cruz Reynoso. 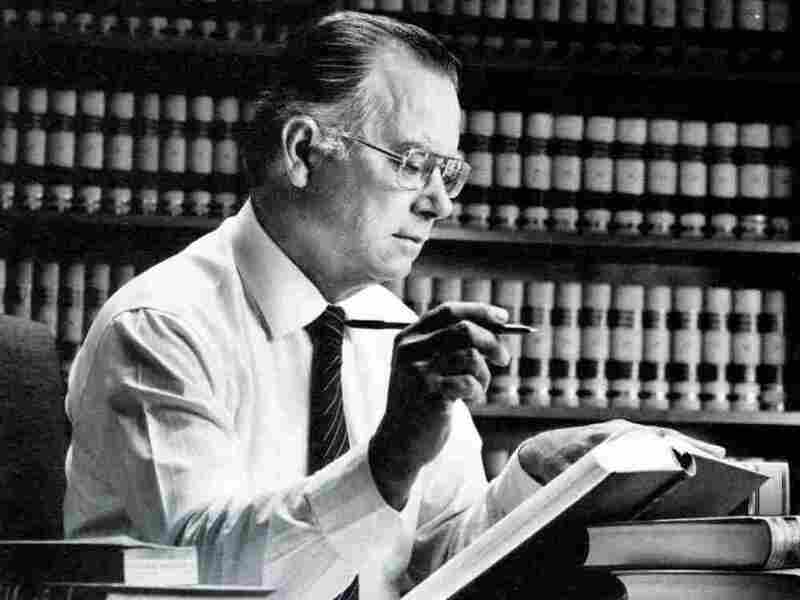 He became the group's first Latino lawyer, and later rose to become director in 1969. At the time, the farm workers movement was launched by Reynoso's former colleague Cesar Chavez (they worked together in the early 1960s at the Community Service Organization). Chavez and Dolores Huerta formed the United Farm Workers Union. Chavez lead boycotts, marches and nonviolent demonstrations — and thought CRLA would be committed to his agenda. But Reynoso insisted that CRLA remain independent, and act always as lawyers, not organizers. After becoming California governor, Ronald Reagan accused CRLA of undermining the rights of agricultural business owners and using the organization to interfere in politics. He attempted to cut off almost $2 million in federal funding for the organization. The fight gained national attention and lasted three years. "The battle about CRLA was more of a part of national battle to try to restrict the ability of lawyers to adequately represent poor people in legal services," said University of New Mexico Law Professor Jose L. Martinez in the film. But CRLA prevailed, largely with the help of Reynoso. Then in 1972, Reynoso began teaching law at the University of New Mexico. He became one of the nation's first Latino law professors, and devoted tremendous energy to bringing more Hispanic students and staff into that institution. Reynoso said in the film that he imagined spending the rest of his life teaching there. But back in California, Ronald Reagan's term as governor expired. Jerry Brown, a Democrat, rose into the position that had been held by a Republican for eight years. Brown offered Reynoso a seat on the California Court of Appeals. Reynoso accepted and spent the next six years there. Cruz Reynoso with California Supreme Court Justices. In March 1982, Reynoso was appointed to the California Supreme Court. Several of the court's subsequent rulings favored rights of employees, criminal defendants, consumers, and the poor. At a time when the death penalty was a heated issue, the court affirmed most convictions, but not the death sentences of several inmates. 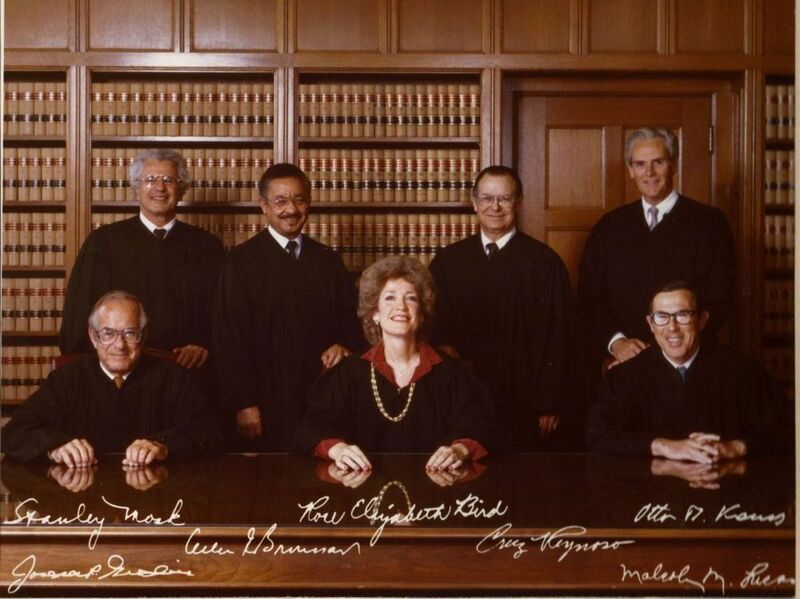 Critics accused it of being soft on crime..
As Chief Justice Rose Bird came up for reconfirmation in 1996, conservative opponents wanted to change the Democratic court's direction. They needed three new conservative justices to accomplish that, and launched a campaign against Bird, Reynoso and Associate Justice Joseph Grodin. "All of those who were attacking the courts were Republicans. The Democrats were so afraid of the death penalty issue that none of them came to our support," said Reynoso in the film. Golden Gate Law School Dean Dru Ramsey added in the film, "The people who were attacking the court were people who were politically motivated, who did not really care at all about the role of the judiciary or an independent judiciary — an impartial judiciary. What they wanted were people in those seats who would vote the way that they wanted them to vote." Bird, Grodin and Reynoso were ultimately ousted. But that did not stop Reynoso from fighting injustices. In 1996, President Bill Clinton appointed Reynoso to the U.S. Commission on Civil Rights, then awarded him the Presidential Medal of Honor in the year 2000. During the award ceremony, Clinton remarked on Reynoso's remarkable journey from a poor childhood, to the top of his profession: "As a child, he loved reading so much, his elementary school classmates called him 'el profe' — 'the professor.' Later, some told him to put aside his dreams of college, saying bluntly, "They will never let you in." But with faith in himself and the values of our country, Cruz Reynoso went onto college and to law school but never forgot his roots." Today, Reynoso is 80 years old and teaches law three days a week at the University of California, Davis. A UC Davis law student featured in the film, Walid Kandeel, said, "It's been great to have Professor Reynoso as a professor at law school because of the way he engages students in issues of race and social justice. I came to law school and wanted to be a public interest lawyer, and to hear all the great things that he's been able to accomplish in that field is absolutely inspiring for me as a young attorney getting started in that field." In an interview with NPR's Jacki Lyden, Reynoso said he keeps going because he's done it all his life. "I think it's good if you have a pattern of activity that works for you, and I've always felt that as long as God provides a mind that works and a body that works, you're better off being active," said Reynoso. He remains involved in government and law in California. For example, he serves on one commission that is trying to improve the state government in California, and another that is investigating the fatal shooting of a farm worker by undercover police officers. "So I'm active in many fronts, and I'm very pleased to do that. It deals with the reality that in any society, there are going to be people who have resources and political influence, and they like it that way. And there are many people who lack those important items in society. So it's up to us who have a little bit of training to try to equalize matters somewhat," said Reynoso.